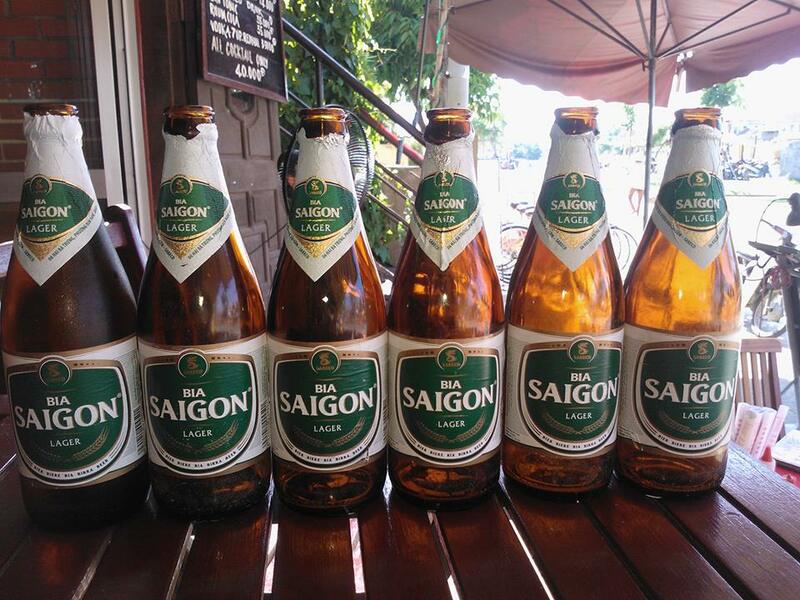 One of the favourite beers of Vietnam seems to be Bia Saigon made by the Sabeco company. The normal Saigon lager comes with a green label and has a strength of 4.3 %. A midly sweet pale lager thats not too strong so is easily drinkable whatever the time of day. Sometimes this was as cheap as 50 cents for a large bottle – got to love Vietnam !! Bia Saigon Export comes with a red label and comes in at 4.9% strength so definately not a session beer. A good tasting beer though and enjoyable with some spicy food. Sabeco also make other beers like 333 Export, Sagota and Saigon special. Seem to be the leading suppliers of lager in Vietnam. 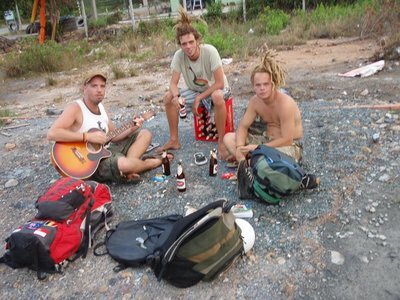 A quick search on Google images for Saigon beer found this photo of a group of vagabonds, this is what happens if you buy and drink a crate of Saigon Export, you soon become homeless and have to learn to play the guitar for a living.